In the mid-2000s, it seemed like new cupcake bakeries were sprouting up on just about every other street corner and shopping center. But for the Village of Clarkston’s residents and visitors, that trend was pretty much old news. 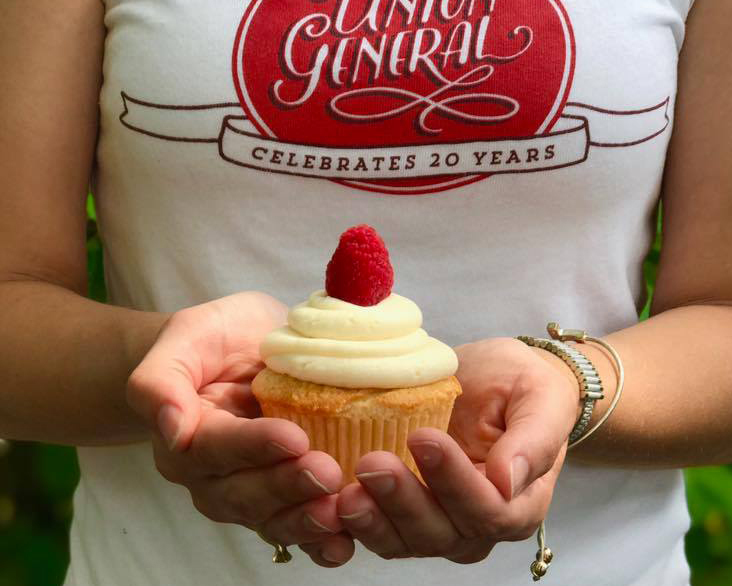 Since 1997, the Union General Boutique and Cupcakery has been a go-to for the icing-topped treats. The quaint shop on Main Street is housed in a converted 1850s parsonage located next door to a church that was constructed in the 1840s. In 1995, that church became the Clarkston Union restaurant. The popular eatery, which passed the 1 million-order mark of its signature Mac & Cheese early last year, was the launching pad for the Union Joints’ growing family of restaurants that now includes the Union Woodshop, Vinsetta Garage, Fenton Fire Hall, and Honcho. Union General will be celebrating its 20th birthday weekend on Oct. 20 – 22, with 20 percent off non-food items. Aside from cupcakes, the curated store sells coffee, gift cards, soaps, cookbooks, bubble baths, kids gifts, organic peanut butter & jelly, and more. But cupcakes are still the main event. Made on site from scratch, they include whimsically named flavors like “Baby, I’m a Star” (vanilla with raspberry puree and cream cheese icing), “Bunnycake” (carrot cake with cream cheese icing), “Delish” (caramel and truffle filling with salted caramel and chocolate icing), “Liz Lemon” (lemon curd with cream cheese icing), and “Babycake” (vanilla buttercream filling with chocolate ganache). The little shop has gained the attention of more than just locals over the years, landing on nationwide “Top Cupcake” lists from the likes of AOL and The Daily Meal. Find a cupcake to your liking at Union General, as well as on the dessert menu at Clarkson Union.